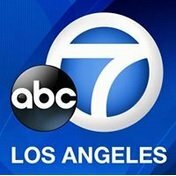 News TV Channel / KABC-TV, channel 7, is an ABC owned-and-operated television station located in Los Angeles, California, United States. The station is owned by the ABC Owned Television Stations subsidiary of The Walt Disney Company. KABC-TV maintains studios and offices in Glendale, California, and its transmitter is located on Mount Wilson. In the few areas of the western United States where an ABC station's over the air signal is not receivable over-the-air, KABC-TV is available on satellite television through DirecTV.